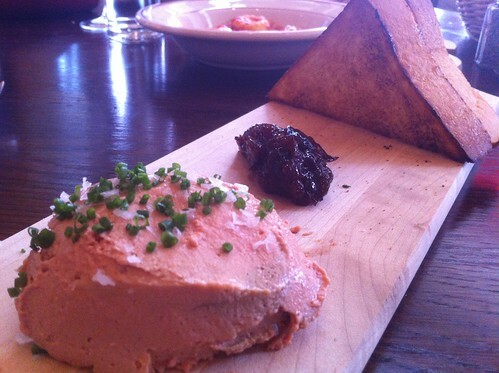 The hottest restaurant on the popular 14th Street corridor in DC is undoubtedly Le Diplomate. 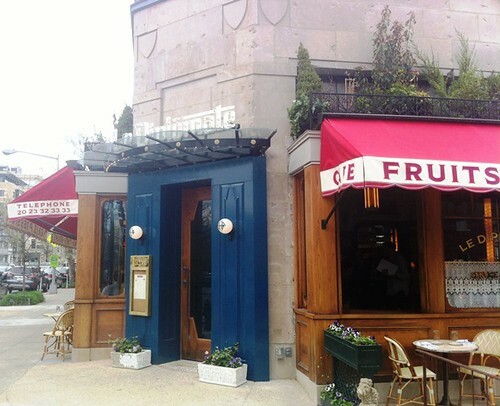 Less than a month old now, the STARR Restaurant group has brought DC an authentic French bistro providing amazing outdoor space, large and open interior, and phenomenal food. Located in an old laundry facility that was unused for many years, the large, corner lot has been completely transformed. The large windows and high ceilings make the space feel enormous, and the decor is very appropriate for their theme, without being too cluttered or forced. If it’s nice, and there’s space, request a seat outside. The area along 14th Street is generally pet-friendly, and the larger outdoor seating area running along Q Street is better for groups. Just don’t expect to call on your walk over. The wait for weekend brunch runs about 3-4 weeks at the moment, and weeknight dinner reservations should be made at least a week in advance. But don’t let that deter you – the food is very good. Wherever you can find a seat, after you order, you’ll get bread. 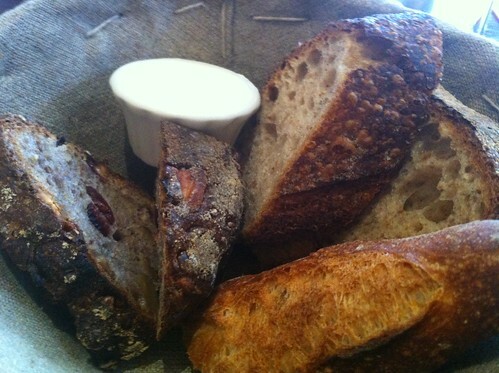 House made bread. And it’s crusty, and it’s hard, and it’s real bread. And the butter, yeah, it’s room temperature, the way all butter should be served. Next, came a barrage of small plates, appetizers, and sides. 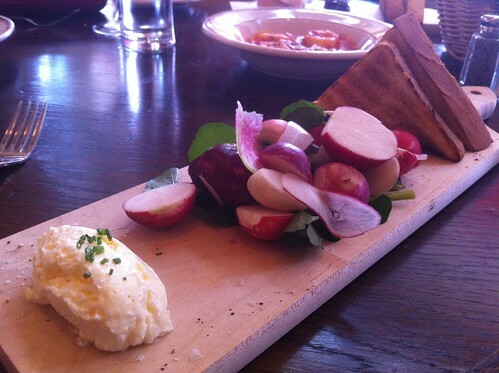 First up, was a very light and refreshing radish crudité (raw vegetable) spread with more of that delicious butter. A variety of about four different radishes, some sliced paper thin, others in rough chunks, were perfect to much on between bites of the richer dishes. Crisp, clean, and very refreshing. 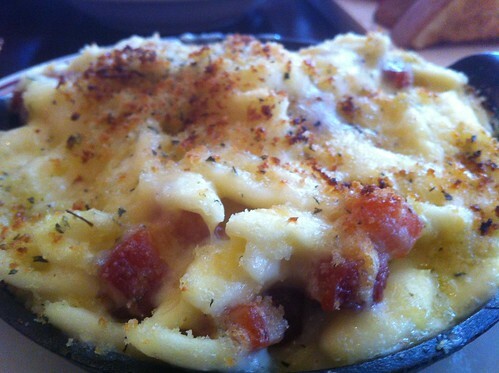 Also not to miss is the macaroni and cheese, which we asked them to add to bacon. Unfortunately, macaroni and cheese is on almost every menu, and seldom is it done well. This version was perfect. The noodles were the proper texture, the cheese mixture was rich and velvety, and the bacon provided the perfect salty textural contrast. 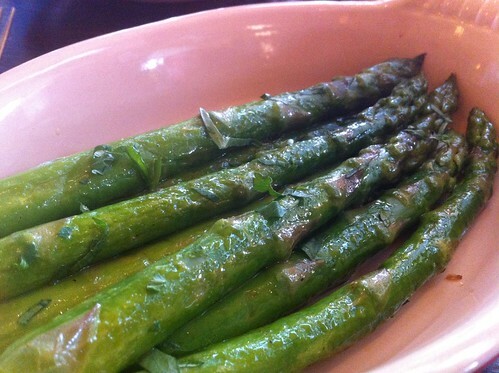 Vegetables seemed in order, and grilled asparagus sounded nice, and it was. I mean, if you can’t serve properly cooked asparagus you should just give up. 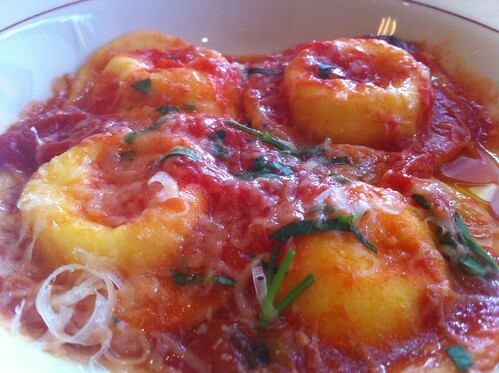 Moving back to “real” food, the ricotta ravioli with a plum tomato and basil sauce were very good. Arriving four on a plate, the homemade pasta soaked up the sauce perfectly. Rounding out the sampling was foie gras parfait, this one was chicken livers that were so smooth and rich I almost couldn’t spread it on the perfectly toasted bread fast enough. Salty, not having even one hint of that mineral quality some foie gras have, and perfectly combined into a smooth, spreadable texture. Oh, and there was wine too. 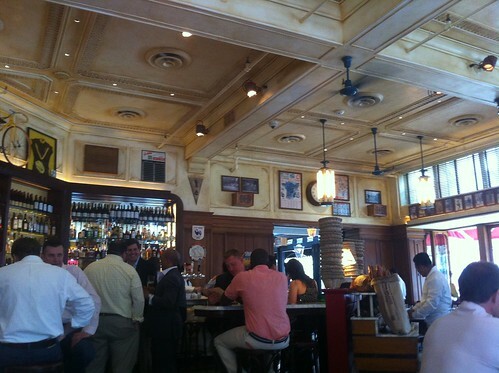 Where: Le Diplomate, 1601 14th Street NW, Washington, DC. Online. Twitter. Facebook. Wonderful review and we (Linda Gossard and I) are not surprised – especially about the bread part. The head baker is Lawrence Kilbourne, an old friend who knows his way around his dough and oven.